The state attorneys general for New Jersey and Pennsylvania are pushing back against the U.S. Department of Justice’s recent strict interpretation of the Wire Act and are seeking documents from the DOJ that could determine whether the move was done at the request of a powerful casino lobbyist and donor. 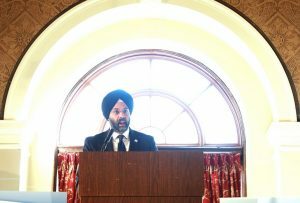 New Jersey Attorney General Gurbir Grewal delivers the keynote address at the New Jersey Conference of Mayors Winter Session at the Masonic Temple in Trenton Jan. 31. Both New Jersey Attorney General Gurbir Grewal and Pennsylvania Attorney General Josh Shapiro, in a Feb. 5 letter to the DOJ, said the expansion of the Wire Act to ban any online gambling that crosses state lines could heavily weaken both states’ online gambling and sports betting markets. In November 2018, the DOJ’s Office of Legal Counsel announced it would expand the Wire Act, a federal law that prohibits certain kinds of gambling and wagering activity, and said on Jan. 15 that it would give businesses and state governments 90 days to comply. It is not immediately clear how New Jersey’s gambling industry, handled by the Division of Gaming Enforcement, will respond to the DOJ’s ruling. A spokesperson for DGE did not return requests for comment. “The [Las Vegas] Sands Chief Executive, Sheldon Adelson, established the Coalition to Stop Internet Gambling to lobby against the  opinion,” reads a Feb. 5 Federal Freedom of Information Act Request Grewal and Shapiro filed with the DOJ. “But the coalition was unable to persuade Congress to amend the Wire Act, so certain lawmakers ‘pressed the [DOJ] on its interpretation of the act’,” the request continues. Adelson is believed to have pushed for the DOJ’s interpretation out of concerns online gambling could compromise the success of his traditional brick and mortar casino establishments. He has donated hundreds of thousands of dollars to Republicans nationwide. A three-page letter filed by both AG’s requests the DOJ rescind the Wire Act reinterpretation. 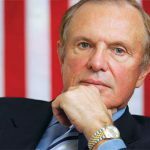 Former state Sen. Ray Lesniak, who played a heavy hand in a U.S. Supreme Court case knocking down the near-nationwide ban on sports betting, said the reinterpretation could ultimately squash online and sports-gambling in the state. Since internet connection and payment processes cross state lines, that alone could be a violation of the newly defined Wire Act, Lesniak said. In 2011, the Obama-era DOJ ruled that in the gambling world, the Wire Act online applied to sports-betting activities, opening the doors for states such as New Jersey, Pennsylvania, Delaware and Nevada to roll out online gambling on a variety of forms. Lesniak and other state Democrats attributed what they see as Atlantic City’s revitalization, in part to the expansion of sports betting and online gambling. DGE records from January 2019 show that in 2018, online gaming generated $298 million in revenue for the state’s casinos. Of the $1.2 billion that patrons bet on sports wagers in 2018, $780 million of the bets were made via online or mobile apps, according to the DGE.